This excellent 3x optical amplifier is a fully multicoated 4 element design, ideal for both visual and imaging use. The Explore Scientific 3x Barlow - Focal Extender's telecentric design retains the eye relief characteristics of any eyepiece used in conjunction with it - unlike conventional and less advanced true Barlow lens designs. This is an invaluable advantage for visual work - particularly for those who wear glasses for observing. The field characteristics of this design are extremely good - a boon for visual work and imaging alike, particularly on large well illuminated objects like the Sun (with appropriate filtration, of course) and the Moon. 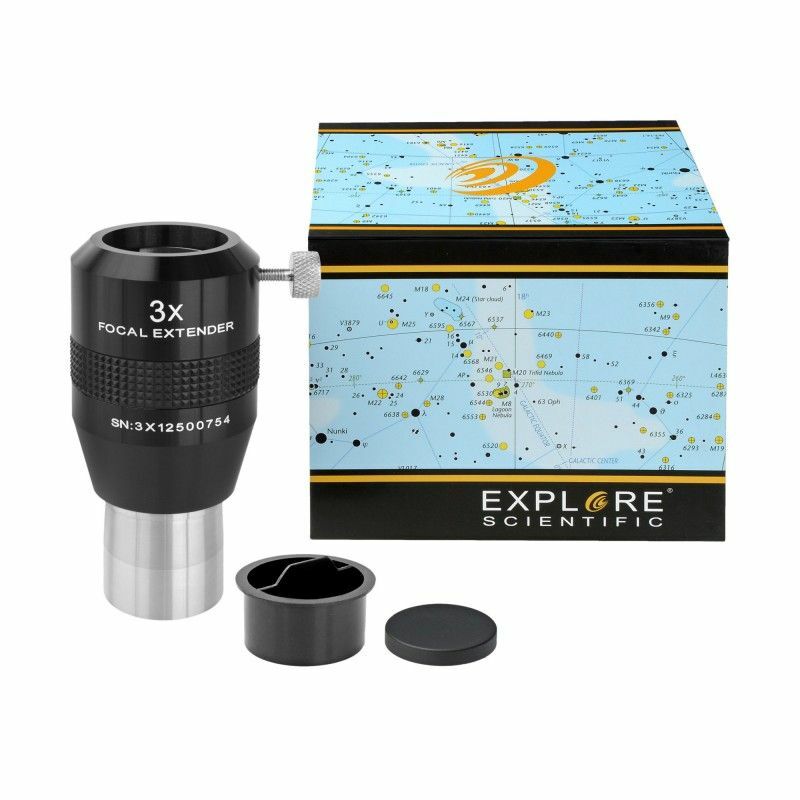 Blackened edges are found throughout the Explore Scientific 3x Barlow - Focal Extender, decreasing the likelihood of contrast-robbing light scatter. 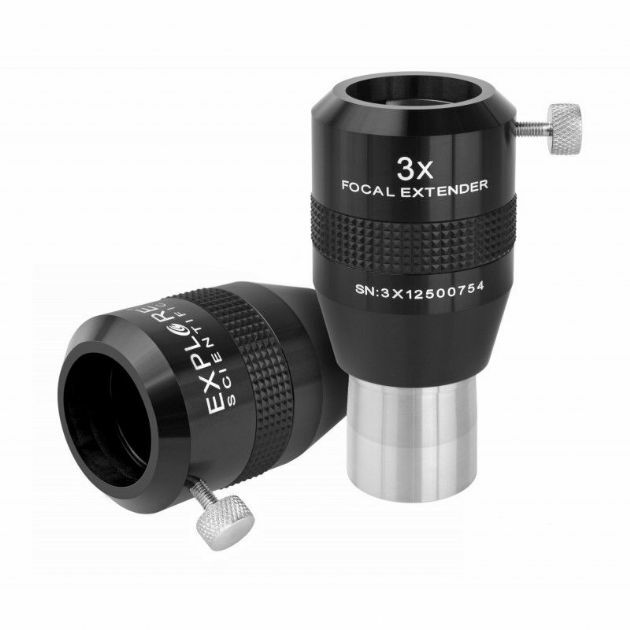 Handily comes with 1.25" threads for filters - a rarity in focal extender designs. If you're looking for a versatile focal extender for both visual and imaging work alike - then look no further. 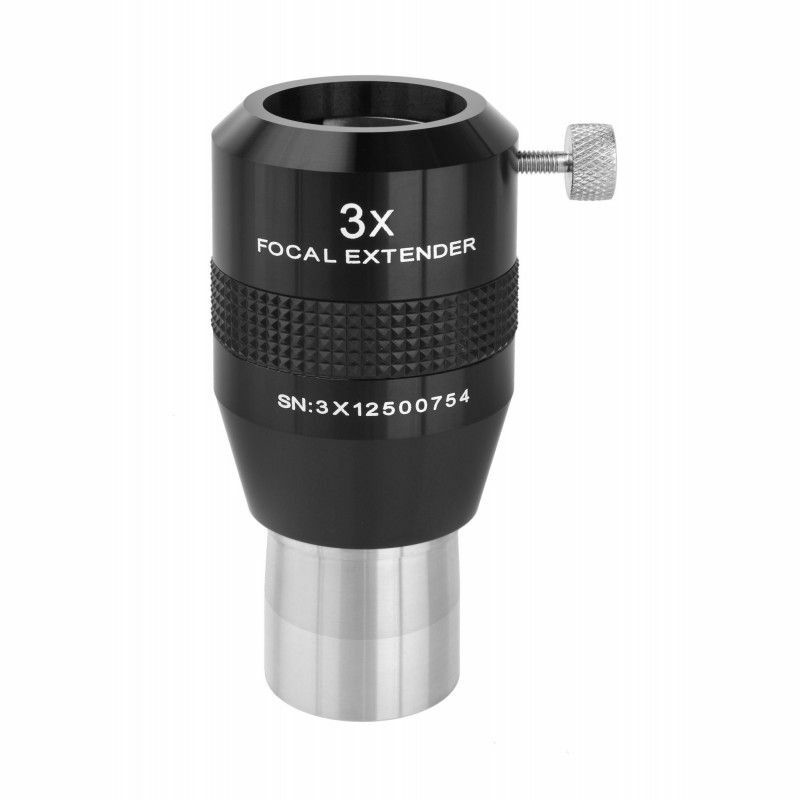 • Eyepiece and teleextender barrel size: 1.25"